Rhinoplasty is one of the most difficult surgical procedures to perform. The delicate framework of the nose must be manipulated in a manner that not only produces immediate results, but results that will endure for the patient’s lifetime. Our board-certified facial plastic surgeons, J. David Kriet, MD and Clinton D. Humphrey, MD, excel in rhinoplasty and perform the highest volume of rhinoplasty surgeries in the Kansas City area. From primary rhinoplasties to complex secondary or revision rhinoplasty procedures, our surgeons have the advanced skill and expertise to achieve outstanding results for patients seeking cosmetic and/or functional enhancement of their nose. By modifying the nasal shape and proportions, rhinoplasty can bring the nose into harmony with other facial features. Desired changes are often subtle, but many patients remark that their self-confidence and poise are dramatically improved after rhinoplasty surgery. While many rhinoplasty surgeries are performed for cosmetic purposes, rhinoplasty can also correct functional breathing problems and deformities created by previous nasal fractures and/or genetics. For those considering rhinoplasty, we recommend scheduling a consultation with either Dr. Kriet or Dr. Humphrey. During the appointment, your surgeon will complete a thorough physical examination, discuss your medical history, and evaluate your nose. You and your surgeon can identify your areas of concern and the results you would like to achieve with rhinoplasty. If your surgeon determines that you are a good candidate for rhinoplasty, he will begin formulating a customized surgical plan for creating the appearance you desire. Rhinoplasty surgery is performed on an outpatient basis, and patients are typically under general anesthesia during the procedure. Depending on the work being performed, rhinoplasty surgery is sometimes conducted through incisions hidden completely inside the nose (called endonasal, or closed rhinoplasty). More often, internal incisions are combined with a small, well-camouflaged external incision on the columella (the skin that separates the nostrils). The skin is then freed from the nasal framework, allowing your surgeon to sculpt the underlying cartilage and bone into the desired shape (called external, or open rhinoplasty). Once reshaping is complete, the incisions are closed with fine sutures. Rhinoplasty can take between one to three hours based on the complexity of the procedure. There are generally two techniques to perform rhinoplasty, with each approach having its own distinct advantages depending on the desired alterations. During open rhinoplasty, incisions are placed within the natural crease of the columella on the undersurface of the nose. This location typically offers maximal visibility of the underlying nasal framework, giving our surgeons a great degree of control when recontouring the nose. For this reason, open rhinoplasty is often effective for revisionary surgery or procedures requiring very meticulous modifications. Closed rhinoplasty utilizes internal incisions, which provide the access point for Drs. Kriet or Humphrey to manipulate the various nasal structures and attain the desired aesthetic. While the closed approach can allow the benefit of minimal visible scarring, this technique is only appropriate in a select number of rhinoplasty cases. At your consultation, our plastic surgeons will explain the different ways of performing rhinoplasty and you will learn which method is the most ideal for your anatomy and cosmetic goals. If a prior rhinoplasty failed to fulfill your goals for nasal surgery or you were simply dissatisfied from the outcome of a prior rhinoplasty, Dr. Kriet and Dr. Humphrey have the specialized facial plastic surgery experience necessary to perform a revisionary procedure according to your original aesthetic desires. Revision rhinoplasty is an intricate procedure that requires an advanced level of expertise to address the cosmetic or functional issues that may not have been resolved with the initial surgery. As the bones and cartilage have already been operated on, secondary rhinoplasty must be performed with the utmost precision and care, making selection of a skilled revision rhinoplasty surgeon essential. Our facial plastic surgeons will work with you to gain a comprehensive understanding of your cosmetic goals and form a treatment plan to address the concerns that may not have been corrected, or that were exacerbated, by your primary nose surgery. In addition to addressing lingering cosmetic or functional issues, secondary rhinoplasty can also be utilized to treat damage from a nasal injury that was sustained after nose surgery. If the trauma suffered from an injury or accident is extensive, a nasal reconstruction procedure may be a more appropriate treatment for your needs. After surgery, a protective splint is applied to the nose and remains in place for one week. Bruising and swelling around the nose and eyes is very common and usually improves over the first couple of weeks of recovery. Some patients may experience minor swelling that can persist for up to a year, depending on their skin type. Discomfort is generally quite mild and readily treated with medication. Within about a week after surgery, the surgeon will remove stitches and the protective splint. Most patients return to work within five to seven days. Eyeglasses should not rest on the nasal bridge for four to six weeks. We will be happy to show you how to safely adjust your glasses during the healing period. Contact lenses can be worn during the healing process, if desired. Dr. Kriet and Dr. Humphrey have helped many rhinoplasty patients attain the nose shape and profile they have always wanted. Our surgeons’ training and experience in reconstructive facial plastic surgery has also allowed them to successfully restore proper breathing and nasal function for patients suffering from structural abnormalities and/or traumatic nasal injuries. If you are considering rhinoplasty, our facial plastic surgeons have the specialized skill and expertise to help you achieve optimal results from your procedure. 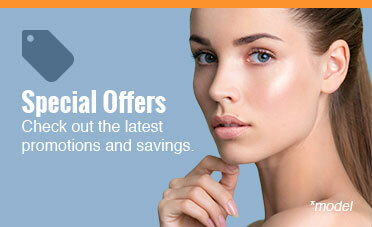 How Much Does Rhinoplasty Cost? Depending upon the qualifications of the plastic surgeon as well as the customized treatment plan, the cost of rhinoplasty will vary. On average the cost of a rhinoplasty ranges between $6,500 and $8,500. However, there are a number of variables that can influence this price and impact the final cost. Factors that commonly affect the price of the procedure include the complexity of the changes desired, whether or not cartilage grafting is needed, and if the patient has previously undergone rhinoplasty. 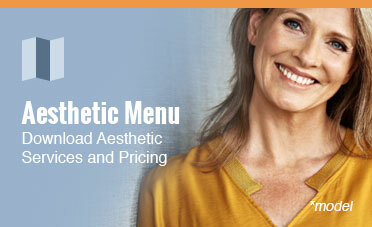 Fees for the facial plastic surgeon, the anesthesiologist, and the surgical facility will also be included. At the end of your preliminary consultation, Dr. Kriet or Dr. Humphrey will be able to provide you with a personalized quote based upon your unique needs and goals. Can I Get a Rhinoplasty Without Surgery? In some cases, the appearance of the nose can be refined using non-surgical dermal fillers, such as those found in the JUVÉDERM® and Restylane® product lines. The use of hyaluronic acid-based dermal fillers to adjust the shape of the nose is often referred to as a “liquid rhinoplasty,” a minimally invasive alternative to nose surgery that can allow patients to achieve temporary enhancement without anesthesia or downtime. Utilizing these volumizing, the nasal bridge can be straightened, bumps and depressions can be smoothed, and the nasal proportions subtly refined. While a liquid rhinoplasty can be effective for special occasions or other temporary engagements, the treatment is limited in the scope of what it can achieve. Fillers typically cannot address concerns about the angle of the nasal tip or adjust the dimensions of the nostrils. Furthermore, non-surgical treatment is not capable of correcting breathing problems or a deviated septum. In general, the non-surgical technique does not achieve the same quality of results as a surgical rhinoplasty; however, dermal fillers may be able to provide some degree of aesthetic improvement, depending on your concerns. Dr. J. David Kriet and Dr. Clinton D. Humphrey can address any questions or concerns you may have during a consultation. For more information about rhinoplasty, or if you would like to schedule an appointment, please contact our practice today. Communications through our website or via email are not encrypted and are not necessarily secure. Use of the internet or email is for your convenience only, and by using them, you assume the risk of unauthorized use. As educators at the University of Kansas Medical Center and surgeons at The University of Kansas Health System Dr. J. David Kriet and Dr. Clinton D. Humphrey are trusted leaders and respected educators in facial plastic and reconstructive surgery. As academic surgeons at the University of Kansas Medical Center, Drs. Kriet and Humphrey are experienced with many of the most innovative surgical techniques to deliver remarkable results for their patients. Whether patients are looking to achieve a more youthful appearance with a cosmetic procedure or to repair facial trauma through reconstructive surgery, our surgeons exhibit the artistic vision and surgical skill necessary to meet the unique needs of our patients.